33 Vice President, Human Resources – SBLI USA Mutual Life Insurance Co., Newark, N.J.
Leslie Jennies Bostic has a valued treasure: a manager who supports her and believes in her success. ?My current manager, Cynthia Lowden, has been a tremendous role model and source of encouragement for me,? says Bostic, who is vice president of human resources at SBLI USA Mutual Life Insurance Co., in Newark, N.J. Working with Lowden, Bostic says, has taught her how to balance work and life issues, and how ?to treat others with honesty and respect.? She also has high praise for the president and CEO of SBLI USA, Vikki Pryor. ?As an African-American CEO, she has proven that hard work, sound business skills and a desire to serve can propel you to become a true leader,? Bostic says. Bostic oversees SBLI USA?s human resources department, covering the firm?s New York, New Jersey and Puerto Rico locations, with a budget of more than $2.2 million. At school in Mattapan, in the greater Boston area, Bostic enjoyed writing short stories and performing in school musicals. She excelled in English, history and French. Though a hopeless romantic, she was also a pragmatist and obtained bachelor?s degrees in both economics and British and American literature at Brown University, in Providence, R.I., in 1994. 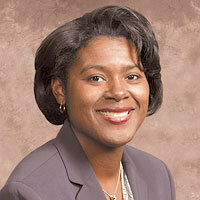 That same year, Bostic entered the management training program at Prudential Investments. The program provided classroom and on-the-job training to select college graduates, rotating them to different departments and businesses within Prudential. Bostic received an M.B.A. from New York University in May. She is also certified by the Society for Human Resource Management. Over the next 10 years, she plans to start a family and to join the board of a nonprofit organization where she can put her business skills to work beyond SBLI USA. She?s getting plenty of practice putting her business skills to work as a volunteer with WOMEN Unlimited, a national organization that addresses the career development needs of women at different stages of their career. She is also a mentor in the organization?s Leadership Education and Development (LEAD) program for midlevel female managers across various industries.